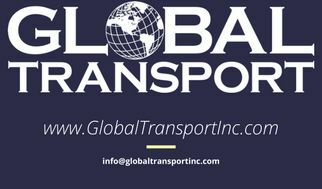 Global Transport, Inc. is hiring and expanding pretty consistently, so we're getting an influx of resumes, emails, and applications. Some of them are fantastic! And some of them leave a lot of room for improvement. So although this blog doesn't directly correlate with the trucking and freight brokering industry, we feel like it could be beneficial to ANYONE applying for jobs ANYWHERE. You should always use a professional salutation and write something in the body of the email. This is the area where you can describe why there were lulls in your dates of employment (paternity/maternity leave, pursuing your education, taking care of family members, etc) or you can introduce yourself. Try to make your resume one page. There are literally hundreds of sites where you can download resume templates and enter your information into them. Utilize your free resources and make your resume stand out while keeping it concise and clean looking. Don't be afraid to follow up. Although companies try to get back to all applicants, sometimes emails get lost in the shuffle. It's okay to send a follow up email or phone call a week after you've applied. If you have no work experience but you've been in school, create a resume about your educational background. We hope these tips help! Good luck job hunting and we hope to see your resume!